We bring you a story of a horse named Festival Tyme. 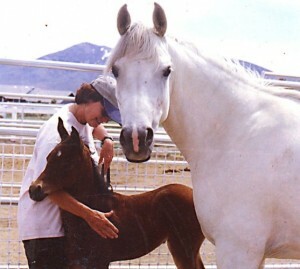 She was a very beautiful mare who was loved and treasured by her family. 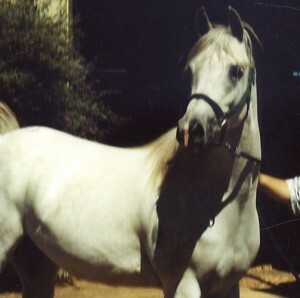 She was such a gorgeous horse, a registered Arabian, who loved life. 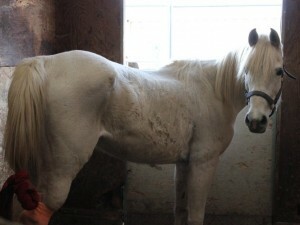 …her old owners were heartbroken to find Festival wasting away in a filthy stall. Sad, skinny, with a terrible hock injury. You can see from Festival’s look on her face that she had almost given up hope that life would become better again. Her old owners knew they had to get her out of the situation. The new owner did not want to sell her, but finally agreed to sell her for the full price of when she was full of health and oh so beautiful. 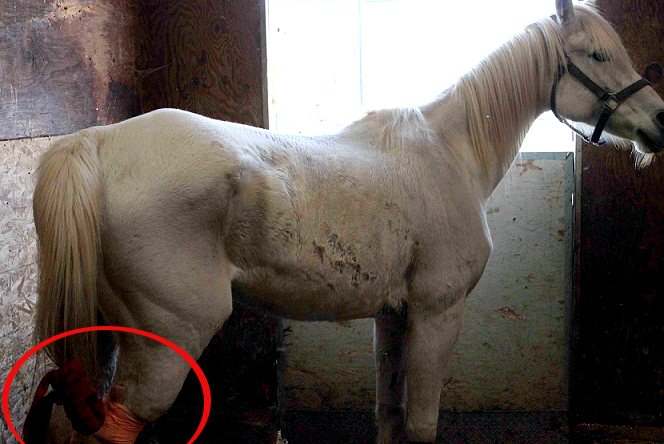 (Notice the bandage around her hock was improperly wrapped and was extremely tight. Vet wrap alone acts like a tourniquet. Who did this to poor Festival? If you look in the April edition of Equestrian Connection, you will find an ad for Lightningwind Arabians with beautiful pictures of stallions standing at stud. They have money for advertising, let’s take a look one of the stallions seen in in the left of this ad. Come to find out the beautiful Saddlebred stallion seen in the left side of the ad is also wasting away in a stall, skinny and sad with little hope. 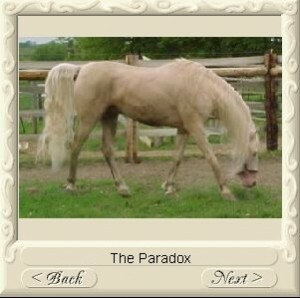 This guy was beautiful not long ago, and the pictures, including the ones from the ad seen above, are pictures from before Lightningwind Arabians owned him. 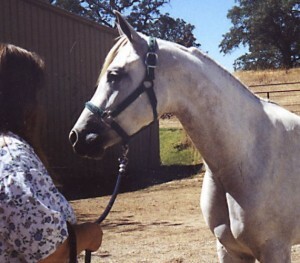 To see more pictures of this stallion from his previous owner, click here. 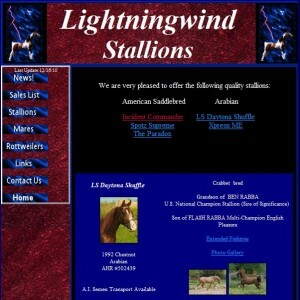 Lightningwind Arabians website doesn’t appear to have a lot of recent pictures, just pictures from other websites. You can see their website by clicking here. 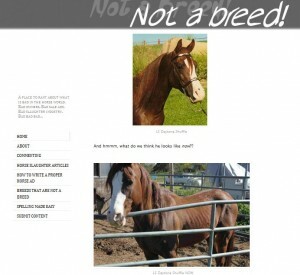 They are advertising their stallions at stud, just imagine if someone saw their ad, sent their mare there to be bred and had no idea what condition the horses are living in… This does not appear to be a reputable breeder, but more like a hoarder / back yard breeder with about 20 horses we are told. The blog, Not a Breed, has a lot more information. To read their blog, click here. These horses need your help! 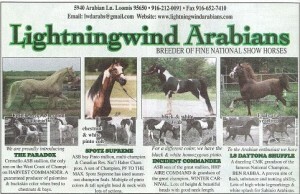 Lightningwind Arabians should not be breeding horses in this condition, nor running misleading ads showing beautiful horses when in fact they are being neglected. 1. Animal Control has been called, and has gone on site. 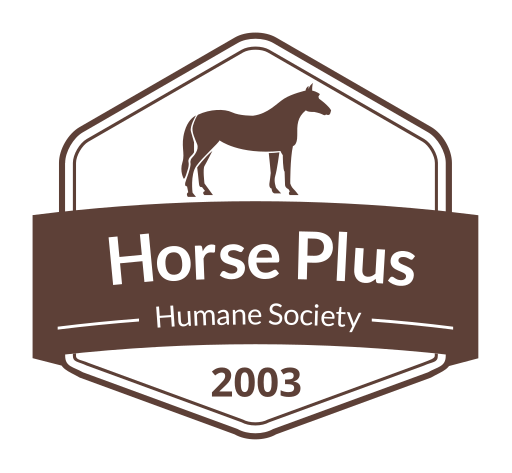 It would be good to give them a quick courteous call and let them know that the horse community stands behind them and that we want to see justice done for these horses. Loomis is a huge horse community and all horses should be cared for with compassion and dignity, not to mention give them some food and water! Animal Control’s phone number is (530) 886-5500, and the horses are located at 5940 Arabian Lane Loomis, California 95650. 2. 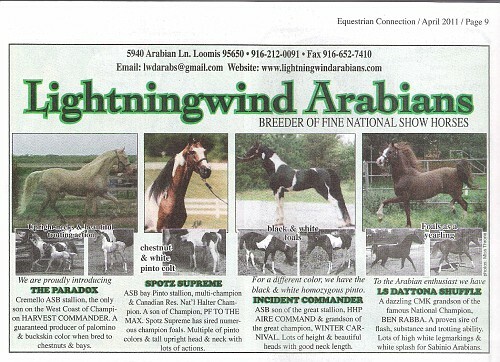 Please contact the Arabian Horse Association, 303-696-4500, and the American Saddlebred Association, (859) 259-2742, and let them know what Lightningwind Arabians ( Jim and Candy Amos of Loomis, CA) are doing to their horses and ask them to suspend their new registrations for breeding. 3. The local community needs to be brought to light on what is happening in their back yard. 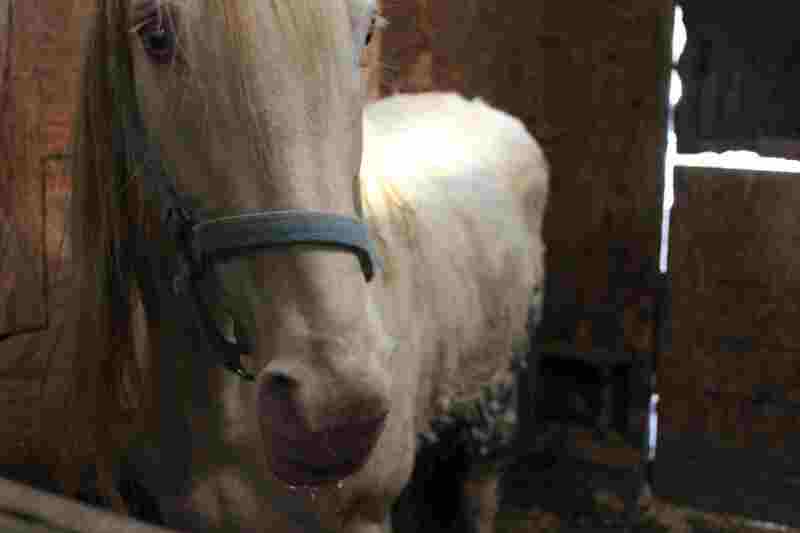 Call Channel 10, (800) 795-5988, and the Sacramento Bee, (916) 321-1000, and tell them you would like to see a story done on this horse neglect. These horses need help! We have not personally seen these horses, but have spoken with Festival’s old owner (who bought her back) and she gave us the other information. We are bringing you the information as we have been told it. Thanks in advance for your help and we will keep you updated as we find out. 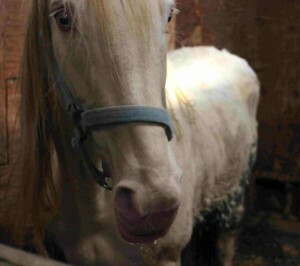 Let your voices be heard, these horses cannot call for help on their own. They are relying on you.